Have you ever seen anything cuter? We have decided, by the way, that I will be Nanagram--assuming of course that Wren doesn't make up her own variation. Kayti liked "Grammie", and I liked "Nana." 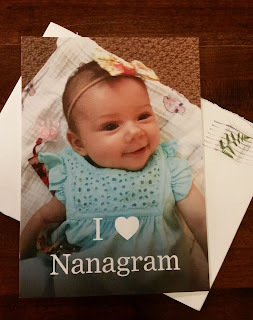 So--Nanagram! This makes me laugh every time I say it, so I think that's a good thing. We always celebrated Mother's Day in my family but we never did a certain thing on that Sunday. This year we are going to Mother's Day brunch at our favorite new (tiny) restaurant on the town square here. They do fabulous brunches every Sunday (this is not a use-up-the-week's-leftovers-buffet) so I'm sure this will be wonderful. Maybe we'll start a tradition. I'm so excited for my daughter on HER first Mother's Day! REDS, do you have any special traditions? HALLIE EPHRON: My husband gets me flowers (tulips, please) on Mother's Day which is lovely to get. Or sometimes chocolate turtles from Phillips Candy House which is near us. And I milk it, trying not to do anything I don't feel like doing. This will be my daughter's third year as a mom, too. I wish she lived nearby enough to take her to brunch. RHYS BOWEN: I used to love the days when the kids would bring me breakfast in bed. So special. This year my son and daughter who live nearby asked what I wanted and I said a picnic. So it will be crusty bread, good cheeses, pate somewhere near the water, which is close to my idea of heaven, especially with my dear ones. (if it doesn't rain, that is. Forecast is iffy). And I still miss my mom. Here's a picture of her. SUSAN ELIA MACNEAL: It's usually flowers and brunch with friends at our place, with Hubby and Kiddo cooking, of course. This year it's dinner, but I got to pick — a Provencal stewed chicken recipe with lots and lots of olives. We'll be having some friends over and having lots of laughs. 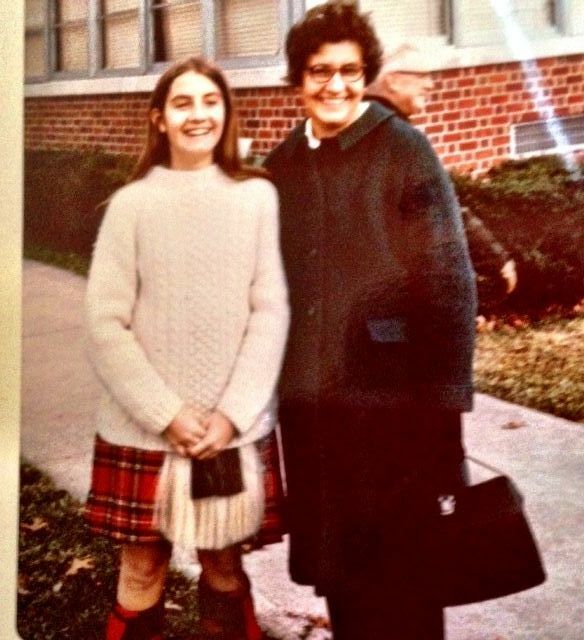 HANK PHILLIPPI RYAN: Mother's Day. Hmm. I am the odd person out here. The grands and steps will call, and they are infinitely adorable--but far away. And I get cards from them all--such fun! But Mother's Day is the day when I realize I chose career. All good, and no regrets! But there it is. 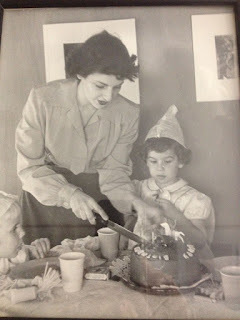 And I think of my Mom--we always had champagne and lovely treats--so I will raise a toast to her this year, as always. And I am counting blessings like mad. 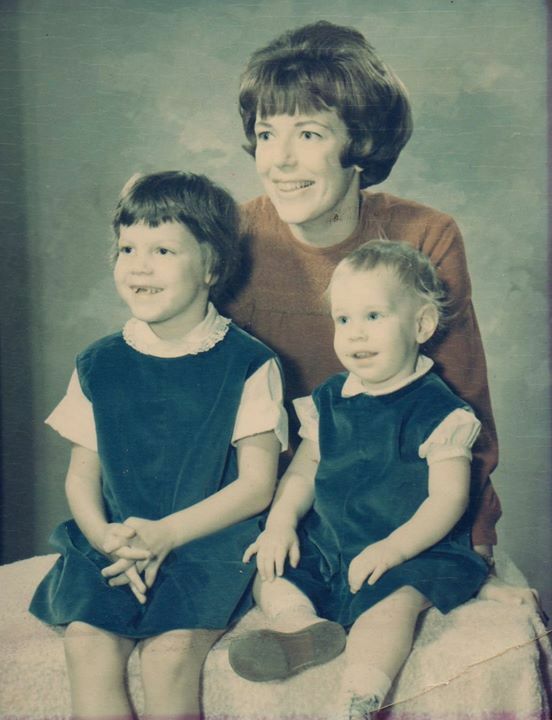 DEBS: Hank, this will be my second Mother's Day without my mom, so thinking of her, too. But as you say, counting blessings. Hugs. 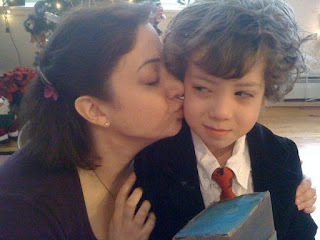 JULIA SPENCER-FLEMING: Hugs to both of you. You help me realize how grateful I am to have my mom still with us - which makes it sound like she's tottering on deaths doorway, when she'd anything BUT! My brother and sister and I all live a good eight hours away from her, so Mother's Day on that end means cards and flowers and phone calls. The phone calls nowadays are on Skype, so we all get to see each other, at least. On my end, it's usually a pretty low-key Mother's Day. When I had three little kids, Ross's present to me was getting them out of the house early, so I could sleep in, have a leisurely breakfast, and actually read a few chapters in a book. Heaven! Now my kids are 23, 22 and 15, and my big present is that Youngest came home from boarding school for the weekend! Our plans today? Snarf down something quick, go to church, and then race off to see CAPTAIN AMERICA: CIVIL WAR before getting Youngest on the bus back to school. Writing all that, I see I am a very lucky woman to spend time with both my mother and my children today! DEBS: Such fun, mothers and daughters. When my daughter found out she was having a girl, my best friend since grade school said, "I'm so happy for her. She'll have a best friend for life." My friend, by the way, has three sons, and loves them just as dearly. READERS, we wish you a Happy Mother's Day, in all its incarnations. Tell us how you celebrate! Debs, Wren is absolutely precious! What a lovely picture . . . and I think Nanagram is sweet. Mother’s Day generally finds me a bit wistful for the years my Mom was here, but there are so many good memories . . .
With the girls so far away, we rely on phone calls and cards and John always makes sure we go out to dinner. So today will be Church, phone calls, dinner out, and lots of reading time. Love all these pictures and traditions. My older son is home for the weekend and we already had a lovely day yesterday walking, cooking, and playing games. He and his sweetie will make a nice breakfast today, and this afternoon we're heading to Maine for dinner with Hugh's sister and cousin (the latter he hasn't seen in decades), and then a concert! Full special day. Many thanks to all the Reds who "mother" authors coming up - like me! You are all so generous and encouraging, and have helped many of us join the ranks of published authors. Edith your day sounds amazing. And we are happy to have been motherly mentors and see you blast off as you have. My mother-in-law died before I met my husband. 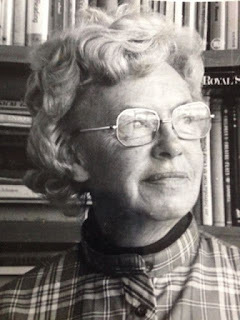 My mother died in 2001. I remember days of trying to celebrate by making Mom's favorite meals. My son made waffles yesterday morning. Today will be church, helping him with a school project (I tried to make a hard-boiled eggs and already cracked the shell, so I suspect I'm going to have to do it again since this is the "egg-baby" project and he'll be graded on how well the egg survives the week), and potentially helping him start another project for reading (he read the first in my middle-grade series and pronounced it "good, but there are some grammar things I'd fix - 13 and he's correcting MY grammar). Usually we buy the plants for the year (flowers and veggies); we did that yesterday, but it's still a bit too nippy overnight to put them in so it's going to have to wait a bit. Maybe we'll be able t sneak in a viewing of Captain America, but I suspect we'll have to wait until next weekend. I used to do the Race for the Cure in honor of my mother with The Girl, but now with my knee I can't do it. I got a wonderful Mother's Day card from my sweet hubbie, and my granddaughter Franny sent me a picture that she signed (she's just 3, this is a big deal)... I am thawing crab for dinner. Best gift: THE SUN IS OUT! We haven't seen it for weeks. Really the best gift: my kids. Love 'em to bits. Oh, Edith, that's lovely. Thank you. One thing I do realize now--how much WORK my mother did in our house. Five kids, a big house pets and garden, and school and --I'm not sure how she ever did it. Oh, Mary,I succumbed to the plant buying thing--but I just ended up with one hanging plant. You think next weekend will be better? Happy Mothers Day to you all, dear ones. SO honored to be in your family. Happy Mother's Day to all the Reds, front page and back pages, whether you mother two-legged people or four-legged critters (including imaginary ones, Hank!). My three daughters all live far away, so I usually get phone calls on Mother's Day; cards are so bourgeois, you know. :-) My youngest daughter already took me to high tea at the Mandarin Oriental last Sunday while I was visiting her during Malice. It was lovely. And I suspect I'll celebrate with DD#1 and my grandson next weekend, when we're in New York City for her Masters graduation from Columbia. This afternoon I'll haul the traditional hanging baskets over to my mom's, where my brother is cooking out for all of the "moms" in his life: Mother, me, his wife, and her aunt who helped raise her. Most special of all is the newest mother in our family, the mother of my nephew's three-month old daughter. Hallie, I love that photo of you and your daughters. It is so joyful. Happy Mother's Day to you all, including Hank. My children are in Texas and Florida, my mother died more than a decade ago, and Julie's mother passed away in 2014. So there are no brunches or lunches or teas for me. This is the year of the kitchen demolition. Therefore I shall celebrate the day by cleaning out the under sink crap. Happy Mother's Day to you all! My four-legged kids actually let me sleep in this morning (because it's overcast, not because it's Mother's Day!) so I am running late for brunch. I love seeing these pictures of your all's beautiful mothers and how much you look like them. 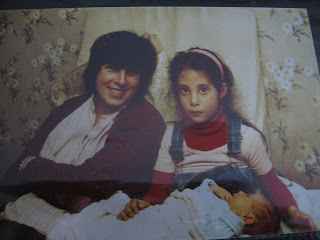 Oh, and you're first Mother's Day as a grandmother and Katie's first Mother's Day as a mother, Debs. So special. I've said a private Happy Mother's Day to my sweet mother, who has been gone for twenty years now. My son called this morning, and hubby and I are getting ready to go cook out at his mother's house, where our daughter and granddaughters will join us. Just making it about family is what's important to me. So, I need to go finish some potatoes to take and am planning on a sweet afternoon, which is what I wish for all here. Ann, sounds like fun! But it's be worth it. I thought I'd be about to report we had sun, too. But--nope. Came, and went. Hank, according to the ten-day forecast here in Pittsburgh, it's supposed to be in the 70s next Saturday. Mid-sixties on Sunday. So fingers crossed. Mothers Day is difficult. Mum died young. We tried to connect, but I never was the girly girl she wanted, and I wasn't a creator in her way. Her charm was her ability to do anything from making a beautiful long kitchen table from scraps of wood she found in the bicycle shed/mud room to oil painting and making brilliant pastries and cakes to ice fishing and canoe building. No plans. Just inspiration and talent. Is your kiddo in movies? I thought I saw him in a movie.